Let's make pretend that ther is some actual point for this one, instead of just the fact that I wasn't able to get a photo of my shadow today. It was very cloudy out, in other words normal fall/Ohio weather which is perfect for photo taking, unless you're trying to get the shadow of something. 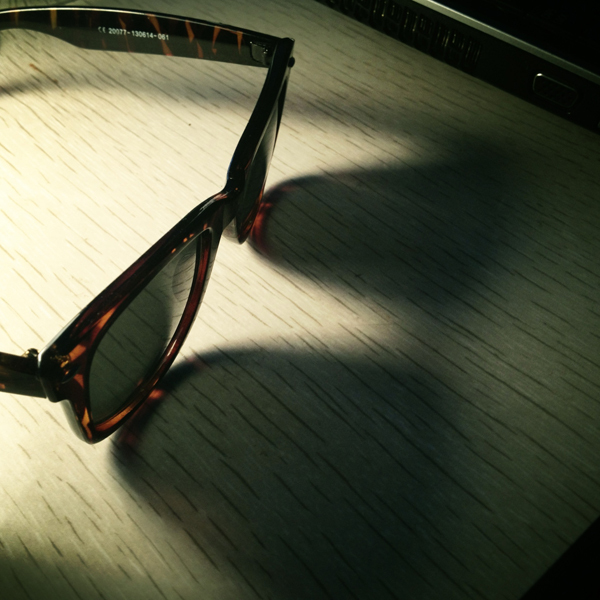 So here is desklamp light shining on some sunglasses. Derp.